Reminder apps certainly come in handy in simplifying our life. Thanks to the smartphone technology, our mobile apps are compiling everything, making it easier to keep us reminded as well as notify us of our tasks. Besides work related stuff, we tend to have difficulty in keeping up with festive celebrations, especially with the dates. It is true that we have the traditional horse racing calendar to help us, but when everything is just an app away, there is this latest player stepping in the digital space, tackling a very specific need. 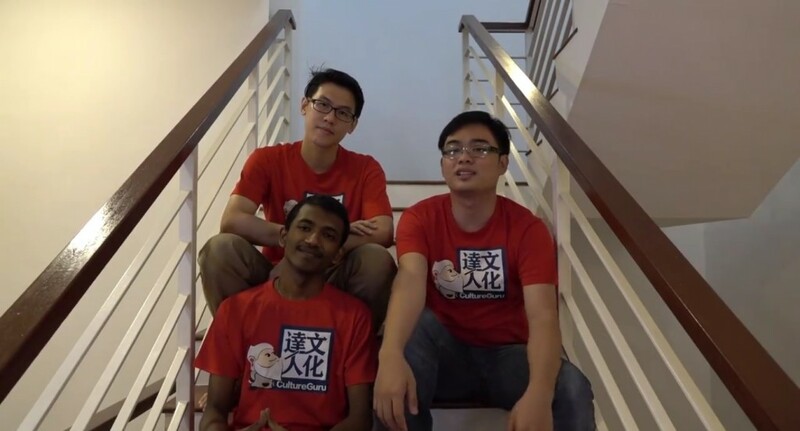 CultureGuru, a mobile app founded by Feng Lim (who also happens to be the founder of Startup Johor) in July 2015, aims to serve as a platform to remind users of traditional Chinese festivals, by digitising all the necessary cultural information. Feng Lim (Right) with his team members. 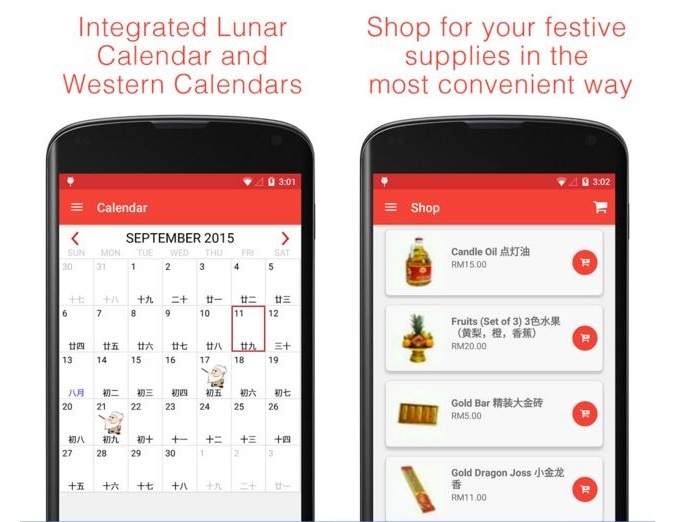 Although there are many types of Chinese lunar calendars which are available to be downloaded, CultureGuru also acts as a mobile marketplace for festive supplies without ever having to leave the comfort of your home, so that they give the app more of a competitive edge. The main reason that prompts Feng Ling to create this app is because he noticed that many people are having a hard time keeping up with cultural celebrations. There are a lot of Chinese festivals. Lunar New Year, Hungry Ghost Festival, Mid-Autumn Festival, Winter Solstice, different gods’ birthdays, it is very unlikely that one is capable to actually remember them all, even many elder people still find the need to flip the calendar constantly to check the dates. During an interview with Digital News Asia, Feng pointed out something extremely true regarding the culture celebrations. The CultureGuru app is currently available on Android and they have an iOS version on the way. The app can be displayed in two languages, English and Mandarin. How the app works is quite simple. You can choose to sign up with a Google Plus account or skip without signing in. As soon as you are in the app, you will be able to see different Festivals on the first page. 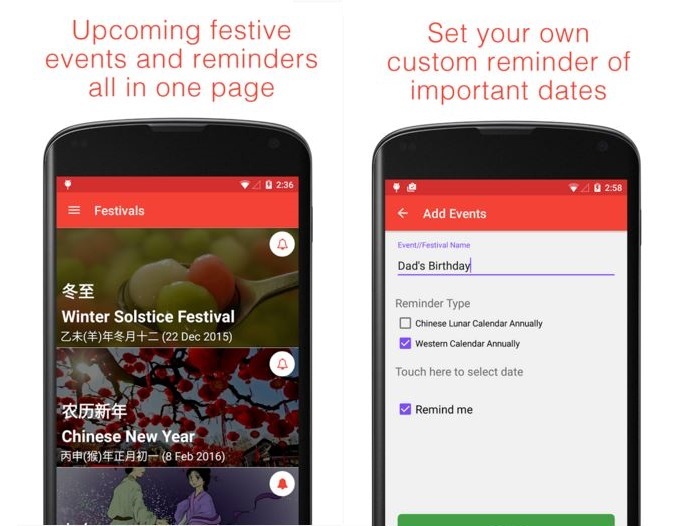 Besides serving as a reminder for major festive seasons, you can also set your own custom reminder of important dates in the Chinese lunar calendar or Western calendar. The best part is you can also shop for your festive supplies like candle oil, gold dragon joss and more. Upon scrolling through the app, you also get to learn more in depth of a particular culture which you may have never heard of. Do you know that counting numbers of tang yuan in the process of making them is considered as a taboo? CultureGuru has a physical presence currently in Kuala Lumpur and Johor Bahru, and the team works with different suppliers and wholesalers for the festive supplies. After you place an order, their guru will purchase the items and deliver it to your doorstep on the next day. The key goal for next year would certainly be expansion. As for now, the app only consists of Chinese cultural traditions. Feng Ling wishes to expand CultureGuru overseas, starting with Singapore, Taiwan and Hong Kong. They also plan to include other Asian cultures such as Hindu and Japanese in the future.